Yesterday Scott Colthorp shot segment 4 of Tag, You're It!, the exquisite corpse film project I've been documenting over the last two months or so. I'm not at liberty to say much about the shoot except that his great editor Jessica and Scott will have to turn around that last minute of their segment to the segment 5 group tomorrow... Good Luck! On a somewhat related note: I'm not going to Austin to record the panel about Tag, You're It! at SXSW. Unfortunately, the logistics just weren't favorable. But if everything works out, Scott Colthorp will attend and be able to film the panel for my documentary. 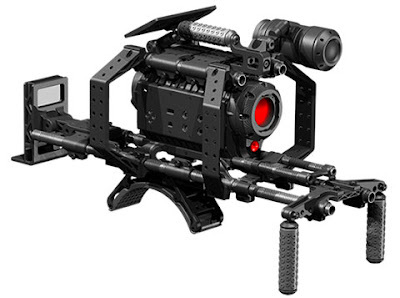 Although he's already made clear he would not bring his brand new RED camera to do so. What? Why?